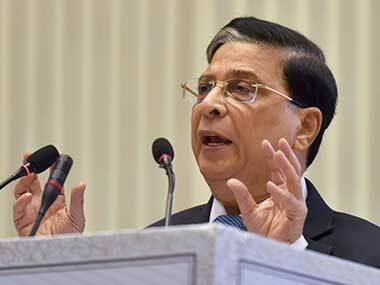 When a former Chief Justice of India apologises for a judgement, that’s big news. And Justice P N Bhagwati was not just apologising for any judgement. He was admitting his “mistake” about a case the New York Times called close to the Indian Supreme Court’s “utter surrender” to an absolutist government. That case was ADM Jabalpur, popularly known as the Habeas Corpus case. On 28 April, 1976, during the Emergency, the Supreme Court had to decide if the Court could entertain a writ of habeas corpus filed by a person challenging his detention. The High Courts had already said yes. But the Supreme Court went against the unanimous decision of all the High Courts and upheld the right of Indira Gandhi’s government to suspend all fundamental rights during the Emergency. Four judges ruled for the government. One of them was Justice P N Bhagwati. If India ever finds its way back to freedom and democracy that were proud hallmarks of its first eighteen years as an independent nation, someone will surely erect a monument to Justice H R Khanna of the Supreme Court. It was Justice Khanna who spoke out fearlessly and eloquently for freedom this week. This might sound like a brave mea culpa on his part. But unfortunately it leaves a lot to be desired. First of all there is Justice Bhagwati’s own track record of having his ear finely tuned to the prevailing political winds. Justice Bhagwati has praised Indira Gandhi government during the Emergency and later criticized her during the tenure of Janata government. When Indira Gandhi came back to power, he wrote a letter congratulating her. What this really shows is that CJI Bhagwati might have gone against his conscience but certainly not against his career trajectory. Justice H R Khanna, who dissented in that Jabalpur case should have become the CJI because of his seniority. But he paid the price for that dissent. He was superceded by Justice Beg. Justice Bhagwati would likely have met with the same fate of Justice H R Khanna had he dissented. This is not the only issue where Justice Bhagwati has made a volte face. Take the mysterious collegium system by which Supreme Court justices are appointed which has come under heavy criticism for being an unaccountable opaque cabal. 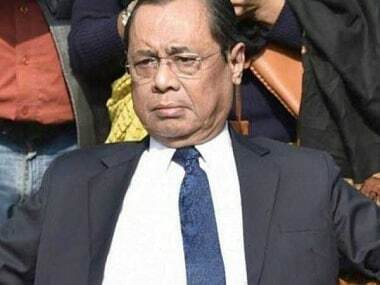 It was Justice Verma who created the collegium system but in the First Judges Case (the SP Gupta case) Justice Bhagwati wrote about it: “There must be a collegium to make recommendation to the President in regard to appointment of a Supreme Court or High Court Judge”. Justice Bhagwati’s mind has now changed about that as well and he says he is against the collegium system in toto. His own track record as a judge has also raised legal eyebrows. Noted constitutional law jurist HM Seervai has criticised Justice Bhagwati for merely copying justice Krishna Iyer’s judgment in the Som Prakash case and incorporating it into his judgment in the Ajay Hasia case. A judge of the Apex Court saying "I am not ready with my reasons but this is my conclusion" anyway sets a deplorable standard for the Indian judiciary. 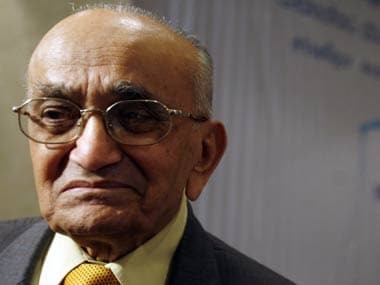 Justice Bhagwati writes, that after the Emergency he realized the mistake of Jabalpur and he practically rewrote Part III and Part IV of the Constitution; particularly Articles 14, 19, 21 and 32. A judge claiming that he is “writing” the Constitution, as opposed to interpreting it is unorthodox to say the least. These days Justice Bhagwati is more in the news because he is a trustee with the beleaguered Sathya Sai Trust. As financial scandals rock the Sai Baba’s spiritual empire, the trust relies on people of the eminence of a former CJI to give it some credibility. Immediately after the demise of Satya Sai Baba Justice Bhagwati was appointed as chancellor of the Sri Sathya Sai Institute of Higher Learning (Deemed to be University). Recently in an interview given to The Times of India Justice Bhagwati said: “Sai Baba, my god, dictated my every single judgment”. People will make of that what they will. But the real question now is what does this apology mean for the Indian judiciary. Some will think its proof of the self-correcting mechanism of the Indian judiciary. But it’s also proof of something much more damning - that political equations play a crucial role in the appointment of judges and the judgments these judges deliver. What happened in the Habeas Corpus case was not a momentary lapse in judgment. It was a disgrace to the Supreme Court, and more so because Justice Bhagwati says it went against his conscience, even then. This belated apology does not restore the faith of people in judiciary. The only way to do that is to have an independent judicial commission appoint judges and bring in transparency in every stage of their appointment. It may save us from a Bhagwati-style apology another 30 years later. Shanmugham D Jayan is a lawyer practising before the High Court of Kerala and he is also a visiting faculty at NUALS, Cochin. Raghul Sudheesh is Associate Editor at Bar & Bench. You can follow him on Twitter. 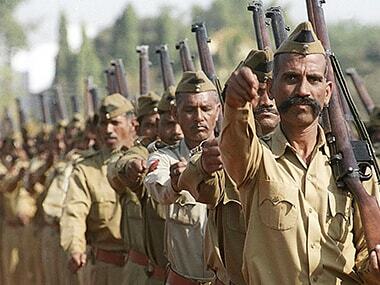 Follow Firstpost on Facebook, Twitter and Google+ for breaking news and views.